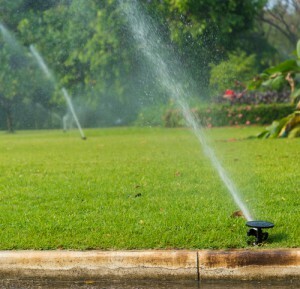 Jungle Busters takes all of your Landscape Management problems and concerns away, whether you are managing large Government, Commercial properties or a suburban back yard, we are experienced in all aspects of Landscape and Vegetation Management. A well-tended landscape adds visual appeal and market value to your property. The plants and grass filter the air and cool down surrounding areas. Your patch of green, whether big or small, simple or sophisticated, offers views of nature that science has proven to lift people’s moods and well-being. Simply put, landscaped green spaces are good for you, the community and the environment. The Jungle Busters Group takes care of your landscape maintenance needs and are fully equipped and qualified, especially the most labour-intensive and time-consuming tasks such as mowing, slashing and brush cutting. We work on the tasks that might be a threat to safety without professional tools and training, such as herbicide spraying, weed control, tree lopping and chainsaw works. We handle the backbreaking work such as seeding, tree planting and mulching. We can plan and install landscape gardens, install Bio Basins, manage large scale clearing jobs – No job is too big or too small. Highlight the best features of your property, thanks to our team’s sharp design acumen. Recommend and implement cost effective solutions to maintain your property. Identify the best plants and grass varieties to grow in your property according to your location, weather and soil conditions. Avoid gardening mistakes and wrong use of solutions that harm the soil and lead to costly damage. Employ best green gardening practices to protect the environment. Take advantage of expert solutions that help you save time, money and energy. Maintaining a landscape should be a celebration of nature. Make sure your greens aren’t just seen, but shine in their best light. Contact Jungle Busters now and let us show you how we can support you to develop and maintain your properties.